MASSAGE AND WELLNESS PROGRAM - Eco-Logic Yoga Retreat. A 'must do' experience while you are in Thailand: a traditional Thai massage. 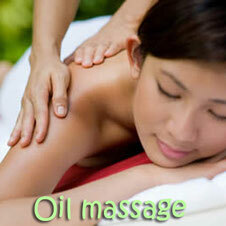 You can have the massage in your own room or in the silence center at Eco-Logic Yoga Retreat. Enjoy 1 hour of pedicure and manicure and have your nails beautiful and clean again. Have a relaxing oil massage and a complementary refreshing cucumber facial mask. In your own room or in our silence center. 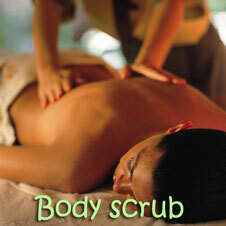 Enjoy a full body-scrub with a complementary cucumber facial mask for that intens clean feeling. 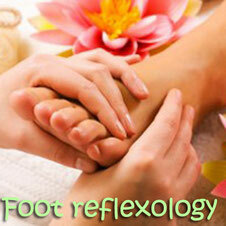 Foot reflexology is an ancient way to treat your whole body by massaging your feet. It's also known as 'Thai foot massage'. Experience it at Eco-Logic Yoga Retreat. *) Session fees are donated to the Thai Child Development Foundation. Eco-Logic Yoga Retreat is set up to support the projects of the Thai Child Development Foundation. With your stay you support the foundation directly.